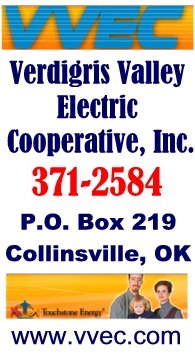 Several City of Collinsville employees attended the Chamber of luncheon and were introduced to the Chamber members. 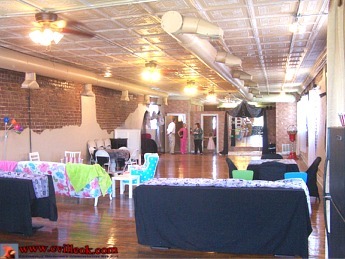 The Chamber also welcomed the new party place (Soiree) at 1115 1/2 W. Main (up the stairs above Choo Choo Chew). The full service party facility is owned by Fawn Ozug and Misty Maxwell. 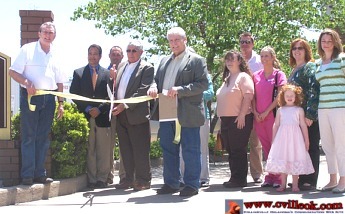 The Chamber of Commerce welcomed Doctors Jerry Crain (D.O.) and Fred Ingram (D.O.) 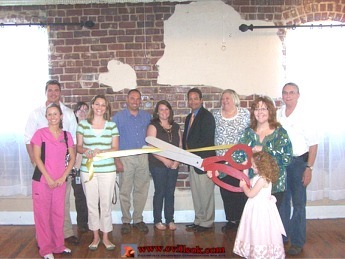 with a ribbon cutting ceremony Thursday at the Collinsville Family Clinic at 1205 W. Main (across the street from City Hall.). 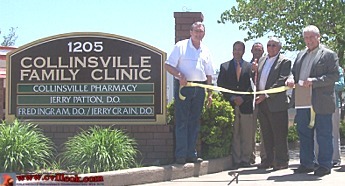 The doctors had relocated here recently from Skiatook. * Exploring other "green" options for city such as emailing city bills in future and followup on components from previous Honeywell study such as energy efficient lighting and transmitting utility meters.